At Flawless Face & Figure we offer a full line of Endermologie and Lipomassage treatments to rejuvenate your body, and not only make you feel younger but you can look younger too. We are LPG Certified Endermologie Specialists, as well as a certified personal trainer for health and fitness. Reactivates cellular activity by mechanically stimulating your skin, using a pleasant, non-aggressive technique. 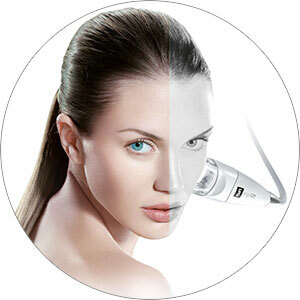 Endermologie can be used to treat different areas of your skin using a variety of techniques. Is perfect for both women and men, and the Lipomassage treatments we offer are targeted to fit your individual needs. For women that diet and still have trouble getting rid of "saddlebag thighs", or are riddled with dimples caused by cellulite. For men that exercise and still have stubborn belly fat. If you want to save money on any of the Endermologie or Lipomassage treatments we offer, you can purchase most services with package pricing to fit your budget and indivdual needs. Treatments are administered with the new Ergodrive head, which is equipped with LPG's patented, independent motorised rollers. The ROLL'Up, ROLL'In and ROLL'Out action gently yet intensively conditions skin tissue to eliminate fat deposits, revitalize blood and lymphatic circulation (i.e. 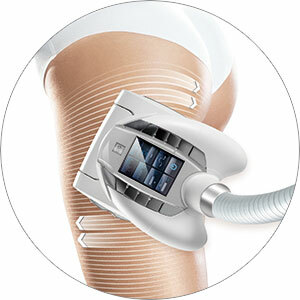 ROLL'Up), and reactivate lipolysis (e.g. ROLL' In action is responsible for more than 70% of the fat elimination).